be seen. View this video and think about someone you know who needs the Spirit of Christ and pray for them. Read what is written below the video. “Offer Them Christ” bronze sculpture by Carolyn Rock and metal framework by Cameron VanDyke. 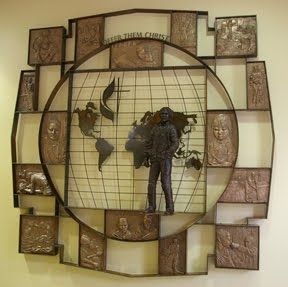 This installation at First United Methodist Church in Grand Rapids, MI represents mission outreach to the world.